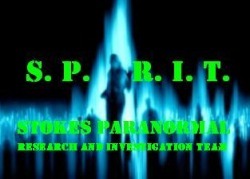 We are the Stokes Paranormal Research & Investigation Team.S.P.i.R.I.T. for short. Our mission is to find new evidence to support the existence of spirits and other paranormal phenomenon, and most importantly to help those who believe to be burdened by paranormal events. 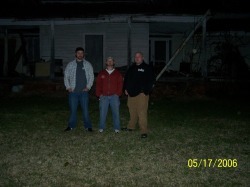 My cousins, David, Billy and myself,(Chris), are the founders and lead investigators for our team. We have decided to adventure into this field because of our own personal experiences. Please feel free to contact us at stokesparanormal@yahoo.com if you have questions,stories, or you are looking for help with a paranormal problem. (we do not charge)for our services. We're here to help.